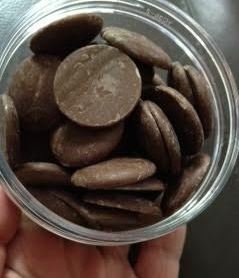 There’s nothing like a bit of chocolate and little drops of chocolate are perfect to satisfy that craving. I don’t always eat dark chocolate and as such sometimes I like milk chocolate. 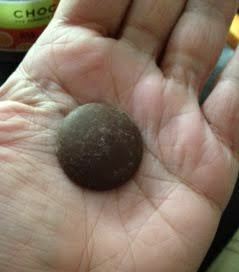 Now, sometimes I eat “trashy” chocolate and sometimes I eat high quality chocolate. 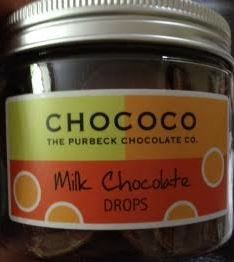 These drops are some of the best quality milk chocolate. If you want your kids to grow up with a taste for better things, this is what you want in your cupboard. These drops are a 43% milk chocolate (the 57% is sugar and milk powder) made with chocolate sourced from Venezuela criollo and trinitario beans. The lovely chocolate has an abasing flavour with a bit of caramel notes coming through the rich deep chocolaty flavour. There isn’t any fruit I can taste so you’ll be getting lots of amazing chocolate notes through in each delicious drop. These are absolutely amazing and because they are quality, you need less to feel satisfied. I really do recommend them in their small plastic tub and screw lid.